Statoil is the first operator in the U.S. Gulf of Mexico to adopt the Riserless Mud Recovery (RMR) system that reduces discharges to sea. This environmentally sensitive drilling solution has been used on the Discoverer Americas drill ship on the Statoil-operated Krakatoa prospect. "The RMR system allows us to circulate the mud, reducing the total mud consumption and discharges to sea to a quarter of the amount compared with conventional methods," explained Tore Grønås, Statoil's superintendent for the Discoverer Americas drill ship. 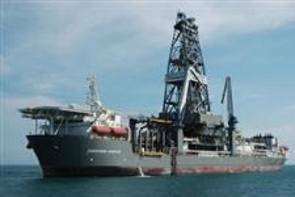 The cost of mud itself and the transportation of it to the drill ship are significantly reduced. "In addition, this technology allows us to push the drilling depth deeper for the shallow casing string, which again reduces the overall drilling time per well,” he said. “Minimizing the number of casing strings down to the reservoir is crucial for the success, especially within deepwater drilling where you may run out of options. With RMR technology, we have the opportunity to reduce the required number of casing strings and thereby reduce the total well cost by several of million US dollars," he added. Statoil currently has two drilling units in operation in the Gulf of Mexico. RMR technology has successfully been used by Statoil on the Norwegian Continental Shelf in 19 operations over the past years. The RMR system has been qualified and field proven down to water depths of 5000 ft.The RMR technology is currently being tested and qualified to be used in even deeper waters, allowing the technology to be used in much of the Gulf of Mexico. RMR technology is used prior to installing the drilling riser, in other words, at the start of the well. Statoil still has several months of drilling on the prospect before reaching the reservoir.